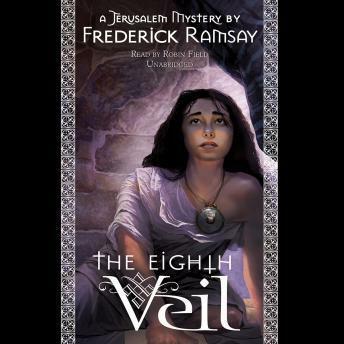 The Eighth Veil is a mystery set in first-century Jerusalem during the Feast of Tabernacles. Pilate wants no trouble and insists that there be an independent investigation into the murder. But Antipas will have none of Pilate's men in the palace, and Pilate doesn't trust Antipas. So Pilate turns to Gamaliel, the chief rabbi and head of the Sanhedrin, and coerces him to do the detective work. Gamaliel is a Talmudic scholar, not a sleuth, and he at first struggles; however, he is soon won over to the assignment as he learns more of the dead girl's background and that of the other major players in the drama, particularly Antipas' foster brother, Menahem. Soon, Gamaliel, in Sherlockian fashion, begins to fit the pieces together, or, as his "Watson" Loukas says, strips the veils from his "personal Salome." Pilate, in spite of his impatience with the pace and direction of the investigation, is rewarded when it turns out that the girl is not the mere servant that everyone had assumed.